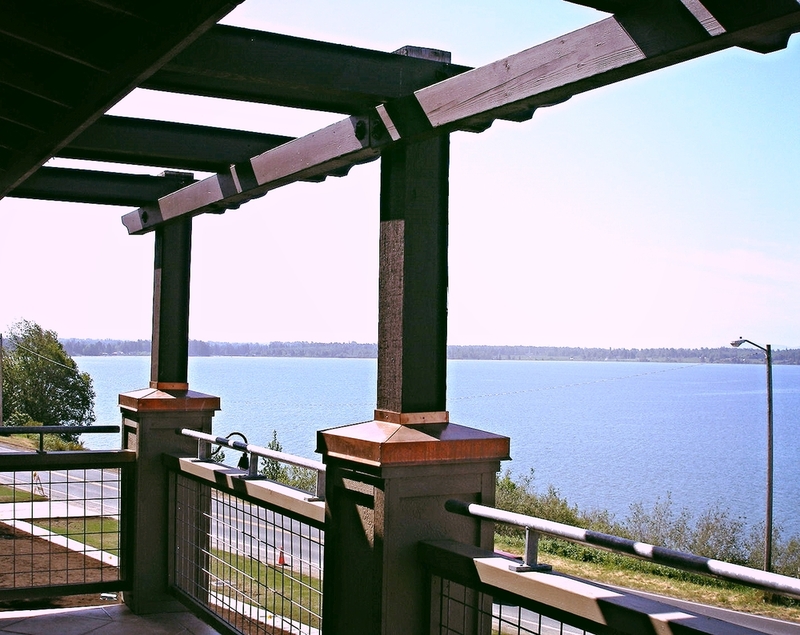 Luxury waterfront condos in Blaine Harbor. Seascape is a one-of-a-kind condominium development nestled at the top northwest corner of Washington State IN THE TOWN OF BLAINE. THE SEASCAPE IS 2o miles north OF Charming Bellingham, WA and a short drive over the border to summer fun in White Rock and the beautiful city of Vancouver, BRitish COlombia, CANADA. Seascape offers luxurious residences that are spacious, warm and welcoming with spectacular sunset views of tranquil Drayton Harbor. Blaine’s small-town ambience offers residents a sunny outlook 365 days of the year. 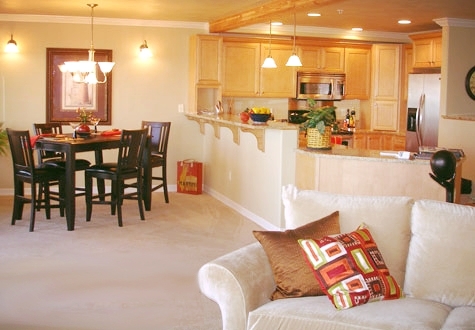 Each Seascape condo unit is private, secure, sound-proofed, energy efficient, spacious, comfortable and attractive. The development has 21 units on three levels — and features a variety of sizes and floor plans. No corners have been cut in design or construction. Every residence has two full baths, one or more fireplaces and a spectacular view. Blaine, Washington, is a friendly, bucolic seaside city of about 4,500 people located 110 miles (2 hours) north of Seattle. Vancouver, B.C. is 30 miles north of Blaine. White Rock, B.C., is just across the border. Neighboring Washington communities include Ferndale and Bellingham to the south, Birch Bay and Semiahmoo to the west, and Lynden to the east, all within a few minutes of each other. Bustling Bellingham offers all of the big city services, including top-rated medical facilities, while Blaine offers location, tranquility and convenience. Situated directly on the U.S.-Canada border, Blaine is an appealing locale for adult couples whose lifestyle may include frequent travel yet require the permanency of a home that offers privacy and security without in any way being remote. Excellent shopping, including big box retail is accessible, but not necessarily on Blaine’s doorstep. Nor is traffic congestion or urban noise. Good neighbors are nearby—Birch Bay, with its old beach cabins and new waterfront homes; and Semiahmoo, the resort across the bay with its gated communities and golf course homes . But luxury comes in different styles. That of Seascape is evident but not ostentatious, presenting itself in a relaxed manner for mature residents who are often on the move. Washington State has no income tax. Blaine’s home-owner taxes are collected for the city by Whatcom County. Services provided by the city include electricity, water and sewer, plus a fine library. As of 2009, an 8.5% sales tax is levied in Whatcom County. Although the average age of Blaine residents is higher than the national average, Blaine has two primary schools, an elementary school, a middle school and a high school. Nearby Bellingham’s popular Western Washington University has a 13,000-member student body. Ferry travel is extensive, easy and fun in the Pacific Northwest. Blaine even has its own seasonal ferry—the historic MV Plover, which meanders between Blaine and the Semiahmoo Spit, taking in the sights along the way. The San Juan islands north of Puget Sound are served by ferries from Anacortes on the mainland, less than an hour from Bellingham. During the summer months a ferry to the islands also operates from Bellingham itself, and another seasonal ferry connects Bellingham and Victoria, B.C. Picturesque Lummi Island, an enclave of artisans just off the coast, is just a six-minute ferry ride from a terminal a few miles northwest of Bellingham. The extensive Alaska Marine Highway System has its southern terminus in Bellingham. Year-round, Alaska ferries offer travelers the experience of 3,500 miles of scenic waterways. Blaine is an active community with an outdoor focus—good parks and exercise trails, golf courses, and a history of fishing, crabbing, clam-digging and bird-watching. Boaters, golfers, skiers and hikers have extensive facilities available to them. Blaine’s 600-slip marina is one of the most modern and beautiful in the Northwest. Just across from it is the marina of the Semiahmoo resort complex. Golfers have a choice of five courses, including the famed Semiahmoo and Loomis Trail. For skiers there are top-notch alpine runs at Mount Baker, 52 miles east of Bellingham and at a variety of accessible ski destinations in the Vancouver area and at Whistler/Blackcomb two hours north. As a major stopover on the Pacific Flyway, Blaine is extremely popular with birders, who come from all over North America to enjoy the spectacle of active, massed flocks of numerous species. Boutiques are to Blaine as big boxes are to Bellingham. Blaine has a supermarket, drug stores, hardware stores, restaurants, beauty salons, dry-cleaners and specialty shops, plus of course bank branches and a post office, but the real diversity in shopping is in Bellingham, where the mix includes not just the Wal-Marts and the Lowes and the Costcos, but some of the most diverse and interesting retailers to be found anywhere. Not only does Bellingham have a vibrant downtown, but its historic Fairhaven area, just a few minutes to the south, is one of the most charming villages in the Pacific Northwest. Bellingham’s metropolitan area population of 185,000 is served by a comprehensive range of excellent medical and care facilities, anchored by St. Joseph Hospital. Consistently ranked as one of the best places to live in the United States, Bellingham attracts young professionals from all parts of the country who seek out the Pacific Northwest lifestyle.